Sleeping in tents gives you that “Out of Africa” feeling as if you were in the movies together with Meryl Streep and Robert Redford. Sleeping under canvas makes you experience the sounds of the African bush. There is something special about the sound of the bush and many Africa visitors long to return again to the bush not because of its wildlife, the wide open spaces or the glittering night sky as all these things could be found elsewhere. But the one thing you cannot find somewhere else that easily is the sound of the African bush. You want to experience this and the best way is to sleep out in tents, so you don’t have thick walls dampening the sounds coming from the bush. Sleeping in tents gives you a sense of adventure and you are more in touch with nature this way as well. All your senses are activated. You could hear the lions roar, the hippos grunt or hyenas whoop as if they were just outside your window – which they may well be! You could smell the poo of elephants as they pass the camp. It is said that our sense and memories are intertwined. The smell goes into the emotional parts of the brain and the memory parts, whereas words go into thinking parts of the brain. Going on safari with tents gives you the opportunity to visit places otherwise not easily reached or available to the average safari tourist. You can sleep underneath a waterfall or at a remote landing strip. Tented camps are mobile, which means that they can be packed up and moved on to another location. They also leave no trace behind, effecting a minimal carbon footprint. Sleeping in tents is completely safe. Wild animals and predators do not come into the tents, which can be zipped up completely and respect the tent as one big object to omit. 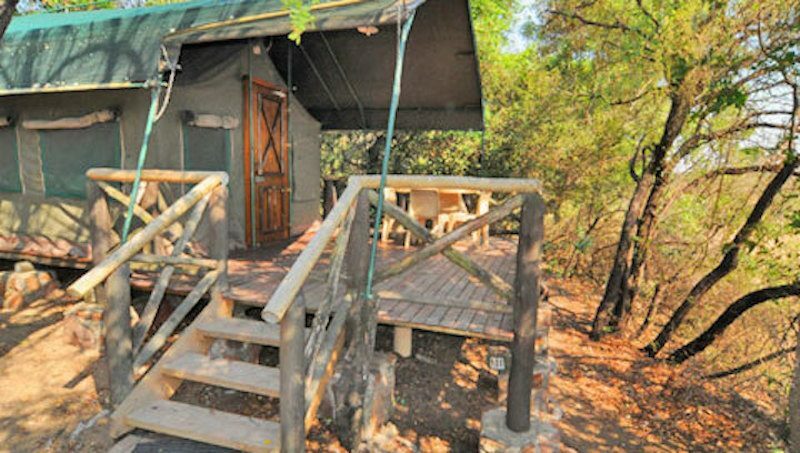 Often, the tented camps are not fenced, so animals are free to walk through the camp. Don’t risk getting out of the tent at night alone, but rather alert a ranger or field guide to come along at all times. Tents range from the most basic canvas structures to elaborate African style safari tents with permanent decking, private swimming pool and luxury that would come close to a 5-star lodge. The tents in camps like Tamboti Tented Camp in Kruger National Park are sober. However, they are clean, spacious and have good quality beds. We also have our own tents that we sometimes bring along on our safari tours, which are 300 x 300 x 210 cm in size with good quality bedding on good, stable stretchers and mattresses, so that you can sleep well unless it is the sounds of the bush that will keep you awake! If you really want to rough it, we also offer you in some places the opportunity to sleep underneath your wings in the African bush. You don’t have to, but for some people, this is the ultimate sense of African adventure. 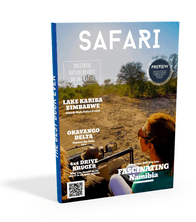 Previous postWhy book your Safari with a Tour Operator?